Who the heck is Mondo Cozmo? can’t come up with a satisfactory answer. For one, he’s the lead singer of Eastern Conference Champions. And if that doesn’t help, you can check out his very obscure video bio – but good luck gleaning anything from that. from his new self-titled solo EP on our weekly New Tracks on The Trail feature. Because the truth is, you really don’t need to know who’s behind the music to get behind it. -Jim James: New material from the My Morning Jacket singer’s second solo album, Eternally Even. Due Nov. 4, James said in a release statement that the album is intentionally designed as a call to political and social action. Check out the Consequence of Sound review of the album’s first single, “Same Old Lie,” HERE, and then be sure to check out James live when he visits The Wilma on Dec. 5. 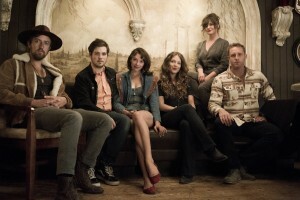 06, Paper Bird has shared the stage with Nathaniel Rateliff, Neko Case, The Lumineers and more. Check out their performance of new song “To the Light” on Acoustic Asheville earlier this month. -Ages to Ages: New material from the Portland band’s third studio album, released in August. 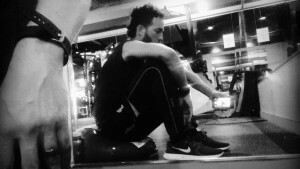 Something to Ruin was inspired by the band’s trip to Central America and marks somewhat of a departure from their “raw choral pop” sound into more electronic and synthetic sounds. 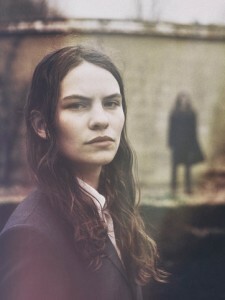 -Eliot Sumner: Tracks from Information, the second album by Sting’s daughter – and her first release under her given name. “Her propensity for propulsive, almost motorik rhythms, dissonent synths and acid splashes of post-punk guitar shut down further connections,” wrote the paper’s critic. Check out the video for Dead Arms & Dead Legs HERE. There ya have it – another Tuesday, another round of New Tracks on the Trail! Thanks as always to Rockin’ Rudy’s for sponsoring.